An amendment has been file to the Election Law and set on agenda for the parliament sitting tomorrow to invalidate any vote if the ballot paper has writings or drawings. 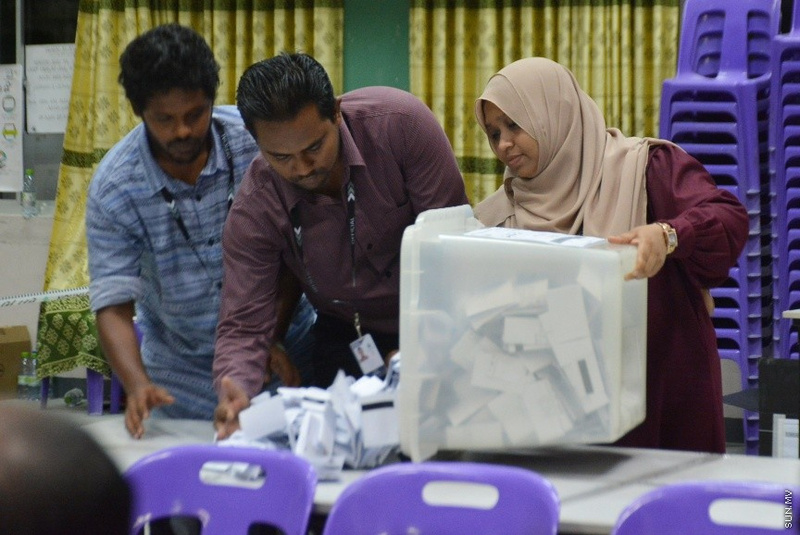 Spokesperson and member of the Elections Commission, Ahmed Akram told Sun Media that the invalidating the vote if the voter writes or draws on the ballot is a step to make sure the vote stays anonymous. He said that a number of amendments have been sent to the parliament to improve the voting system. He said that the amendments come from the symposium, meetings with the political parties and suggestions made by the EU. A previous attempt was made to amend the Election Law to invalidate the vote for drawing on the ballot but it was not passed by the parliament. Another amendment, ont that states that those who have left the citizenship of another country has to stay 10 years before running in the Presidential Election, has also been set on the agenda for tomorrow.